Looks like American Jews have found a way to guarantee themselves a Winter Olympic medal. It's called team figure skating. Yeah, we haven't heard of it until a week ago either. Basically, because of the talent depth of various nations, Americans are pretty much guaranteed a medal before they even step on the ice. So all we need is a Jew on a team and — voila! 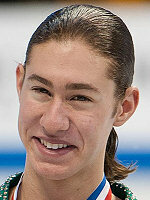 This year we have two: men's skater (and Riverdance enthusiast) Jason Brown and pairs skater Simon Shnapir. In standalone competition, they are probably not good enough to medal. Yet here they are, Olympic bronze medalists. 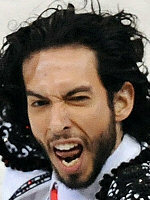 In fact, if you go back the last four Olympics, there has been at least one Jew on the US figure skating team. 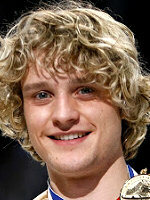 We just need to make sure to churn out those Jewish skaters, and the laurels are ours! And yes, they have to share them with their goyishe teammates. It's a small price to pay?